We don’t use Fräulein At all. 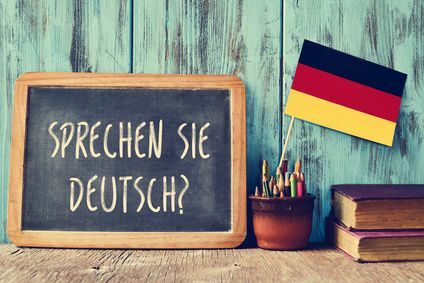 Contrary to what American film and TV productions would like the world to think – because it sounds so neat and German or for whatever other reason – in the German language we no longer distinguish between a married and an unmarried woman. Since the 1980s, we have been using “Frau” to address any female person over 16 years of age. (For more details, please read “You can say you to me”.) No exceptions. Fräulein, which Carrie uses referring to her daughter’s teacher, sounds very wrong! Doctor-patient privilege applies to gunshot wounds as well. Interestingly, in the extras on the Homeland DVD (yes, my name is Sarah and I’m not a digital native, and I still watch DVDs – Hello Sarah!) the producers say they chose Germany as a setting for their plot specifically for its strict privacy laws. Yet they ignore one of the central privacy laws in Germany which says that it is not only not obligatory but even prosecutable for a doctor to report a gunshot wound. So it is simply unthinkable that a former intelligence officer (Peter Quinn) who knows any country he is in like the back of his hand would refuse medical treatment in Germany if he is shot. The BND does not have its own police force. Unlike the CIA, the German intelligence service BND (Bundesnachrichtendienst) has no police force of its own. The national police forces are the Bundespolizei (Federal Police), the Bundeskriminalamt (the Federal Criminal Police Office, where I happen to have worked as a translator at the beginning of my career) and the Polizei beim Bundestag (German Parliament Police). German legal proceedings do not include video-taping or depositions. As an interpreter working in patent law, I found this slip quite interesting, especially as I often interpret during depositions, even depositions held on German soil – but they are never part of German proceedings. Also, at no point during German legal proceedings are testimonies or any kinds of statements recorded live, ie on audio or audiovisual media (with possible exceptions when children are heard as witnesses). Usually, we do not even have word-for-word transcripts – these can only be requested in court as an exception. So despite the fact that the Homeland crew apparently gets high-ranking (former) intelligence-service experts to sit around a table to bounce ideas off them while not thinking to find a person who has lived in Germany in the past decade to double-check basic facts that, if got right, would lend the programme more credence (thanks for staying tuned to the end of this monster subclause) I still consider this latest Homeland series the most exquisite one yet. The plot is just so well-written and the characters are superbly played. Turn a blind eye to some basics, and you will have a nail-biting ball! The Pommes Buddha says: No, we don’t all wear lederhosen, thank you very much! In Germany, the default, I think is fair to say, is siezen while using Herr/Frau and the person’s last name. Children and youngsters should address most people older than themselves using Sie. As an adult, you use Sie with most other adults, unless you know them better or if you are among a group of people which make a point of being laid-back, such as TV producers, PR managers and almost everyone in Cologne, or comradely, such as metal workers’ unionists. It may suffice simply being in the same place as those people, for example at a hip bar, Brauhaus, trendy shop etc. If you do your grocery shopping at a large supermarket, even in Cologne, you would normally siezen the person at the till, and he would siezen you back, unless you are a minor. Dear Germans, may I please point out that the fact that English businesspeople are on first-name terms with each other does not mean that you would automatically duzen them in German. What the German Sie and the English you have in common is that they have no grammatically correct plural form. If you wish to formally address several people in German, you have to say something along the lines of Sie alle. Speakers of the English language in some regions of the world have come up with colloquial varieties of you to mark the plural, such as y’all (regional US American), youse (Ireland, Australia), you guys (originally US American but now widely used elsewhere too). ‘Introducing’ yourself formally by your first name. These days, this custom is pretty out-dated, at least in standard situations. The normal thing would be for the person offering the changeover to say something like, ‘Wir können ruhig ‘du’ sagen,’ and then to introduce herself again, even if you know her first name already, and even if she knows you know it. She may say, ‘Ich bin (die) / Ich heiße + first name’ or simply say just her first name. 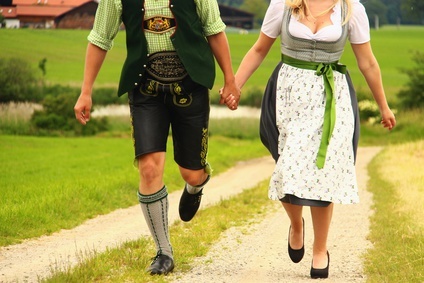 There is an intermediate step between formal and informal in German, but it is not very widely used, i.e. using Sie in combination with a person’s first name. I’m sure the Knigge has rules for this. Next week we’ll indulge in some easy listening. The Pommes Buddha says: One for du and one for Sie.